Guru Nanak has been called “One of the greatest religious innovators of all time”. Starting from Talwandi which was later renamed to “Nankana Sahib”, he traveled to many corners of the world, far and wide to spread the message “Only One God”. He set up a unique spiritual, social and political platform based on equality, love, goodness and virtue to spread the message of humanity than religion. With very less knowledge but knowing the importance of this city I decided to visit the city on a sunny December morning (2k16). 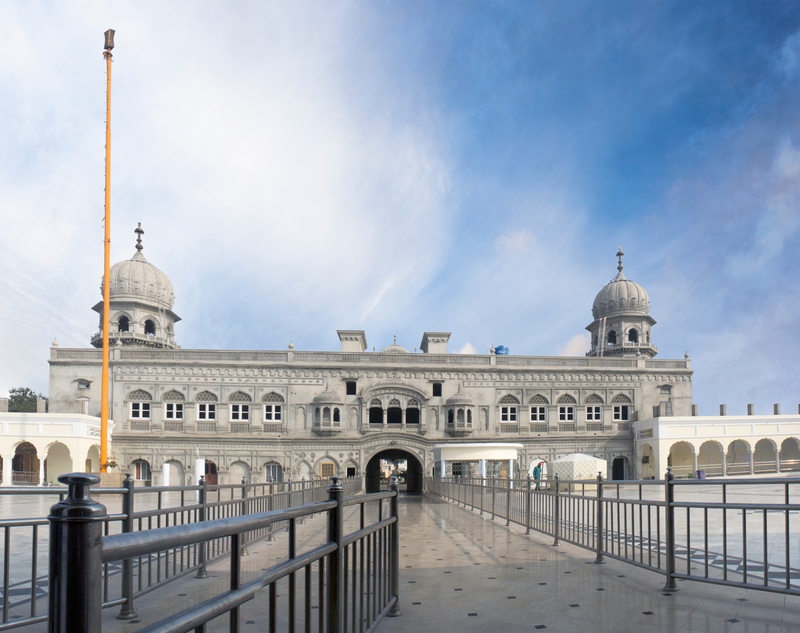 Today, this historical city has a high religious value and is a popular pilgrimage site for all the Sikhs over the world. Located only 85 KM from Lahore one can reach the city in a couple of hours on their personal conveyance. Group photo with Prem Singh(R), Head Granthi, Nankana Sahib. 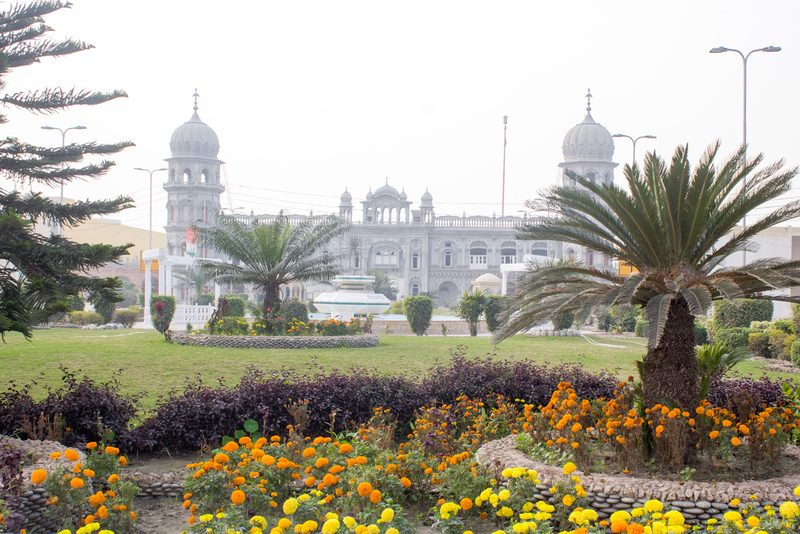 The main entrance of the Gurdwara has a large landscaped area decorated with plants, flowers, and a fountain which seems to welcome everyone who comes to visit this place. 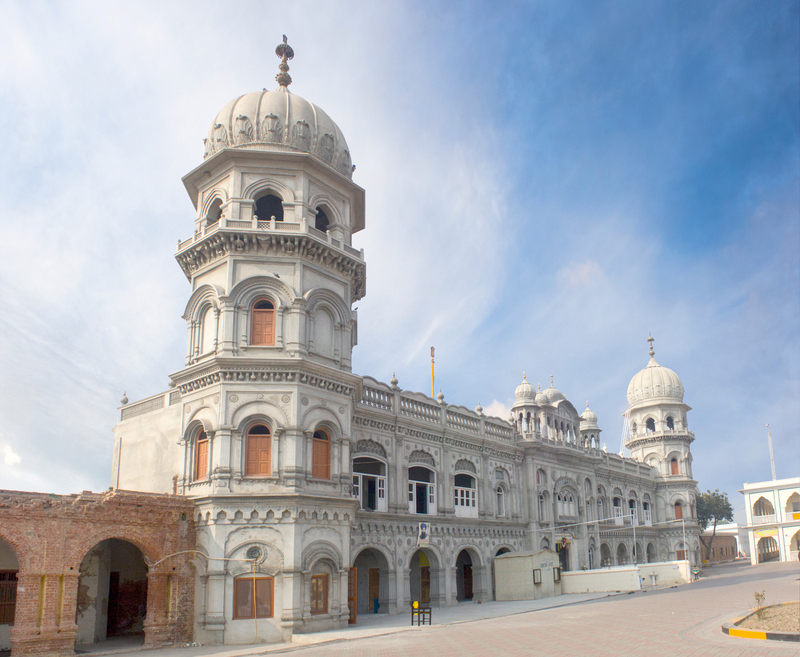 The significant feature of this area is the main structure of the Gurdwara Building. As you walk towards it, you see a saraye on your right side, which dates back to the Colonial period and still in a very good shape. Saraye built in Colonial period. 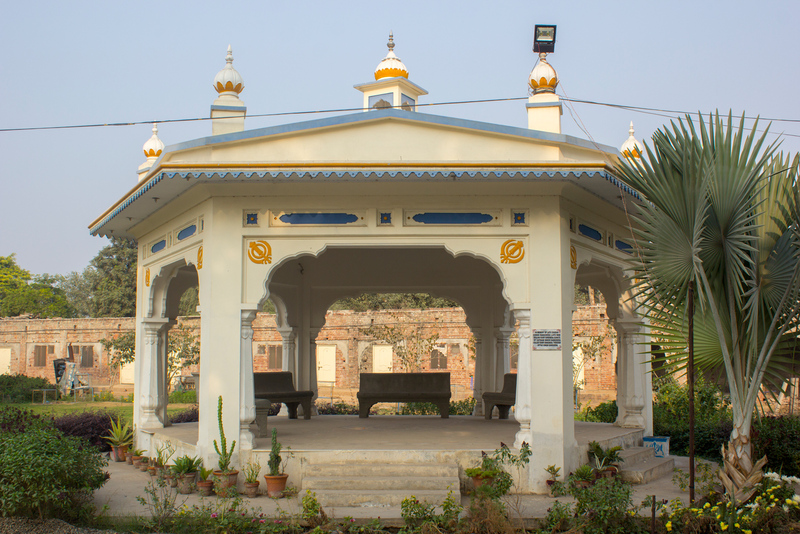 Most of the Gurdwaras were renovated and restored during the Colonial period. 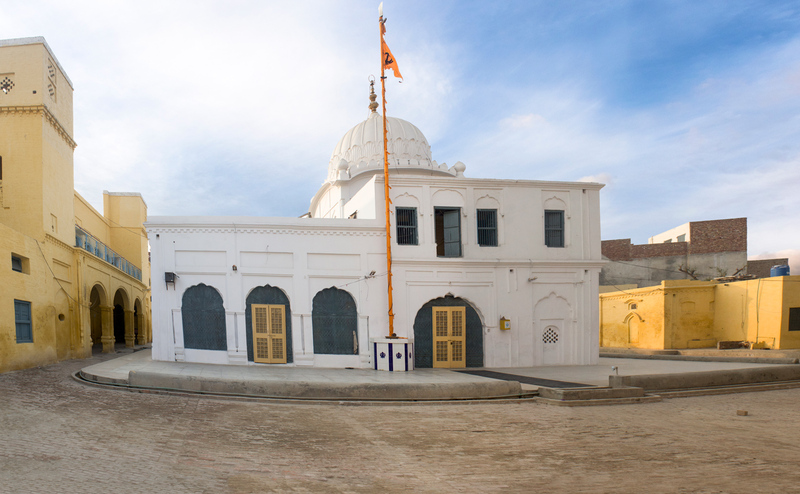 Many Gurdwaras in Nankana Sahib, are still under renovation process this time of the year. 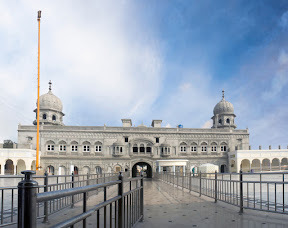 It's hard to tell if the structure of this Gurdwara was the same in the Colonial or in the Sikh period, but it’s inspiring and eye catching structure comfort million eyes of the followers today. If we look at the main building and its construction, it has two minarets on its sides each having a golden spire. 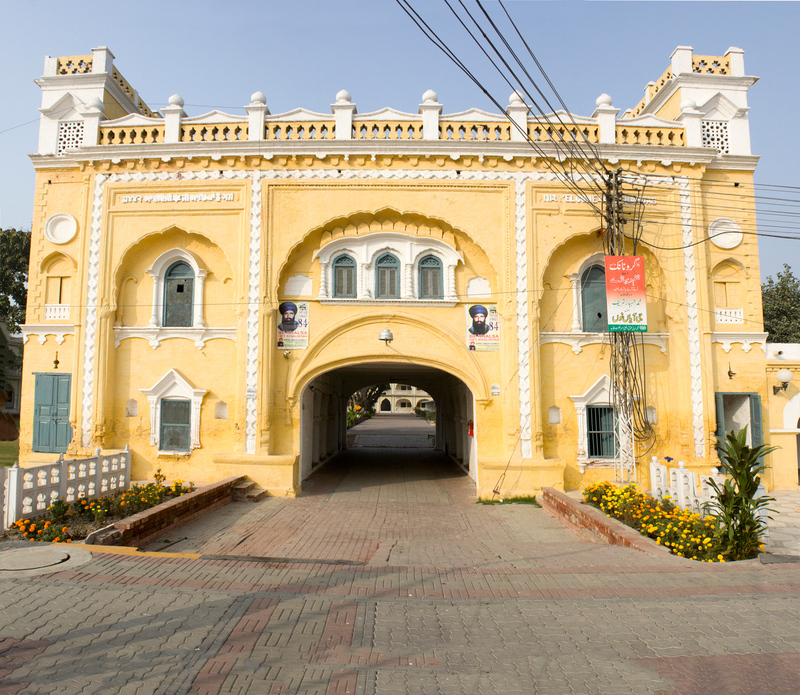 The front of the building has jharokhas which together forms a typical Sikh period architecture. 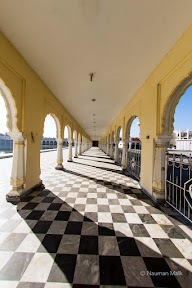 This architecture repeats in every Gurdwara with little subtle changes. 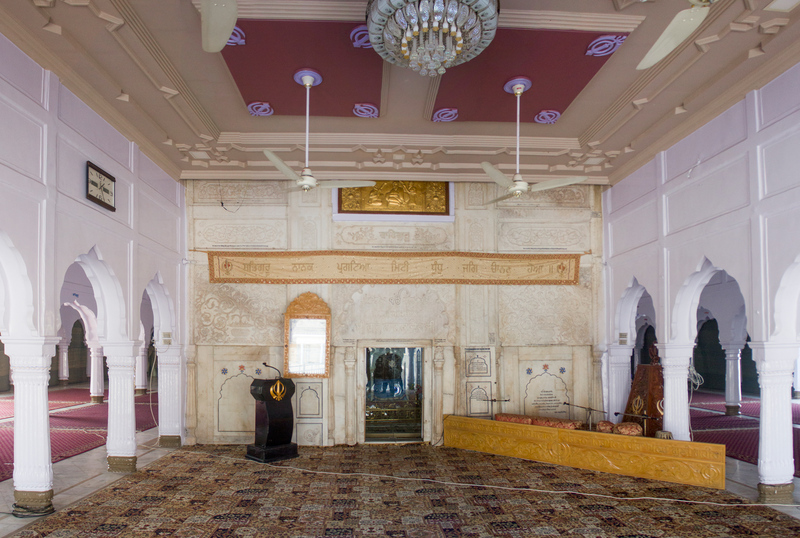 The whole main prayer hall of the Gurdwara is embedded with marble floor which was installed in 2007. 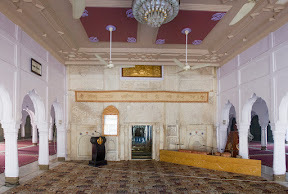 In the middle of the prayer hall, the Devan Asthan building which is very respectable for Sikhs, that is where Guru Nanak Dev Ji was actually born. “Everyday, Sikhs pray day and night and ask God to bless them so that they can visit the Gurdwaras which were separated in 1947. There are majority of Sikhs who have not visited Harmandir Sahib in Amritsar as well as the Sikhs who have not visited Nankana Sahib because of the partition. 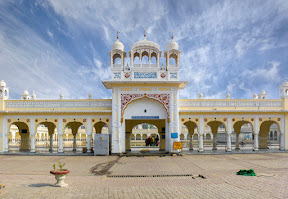 A Sikh can forget anything about his religion but can not forget Nankana Sahib, because this is the Root of Sikhism, it is not only the place where Guru Nanak was born, this is also the place where Sikh religion was born.” Prem Singh, Head Granthi, Nankana Sahib. A young boy reciting Guru Granth Sahib quietly, and will not speak anything until his time-quota finishes. after that, other individual takes his place. This way, Guru Granth Sahib is recited 24 hours nonstop. 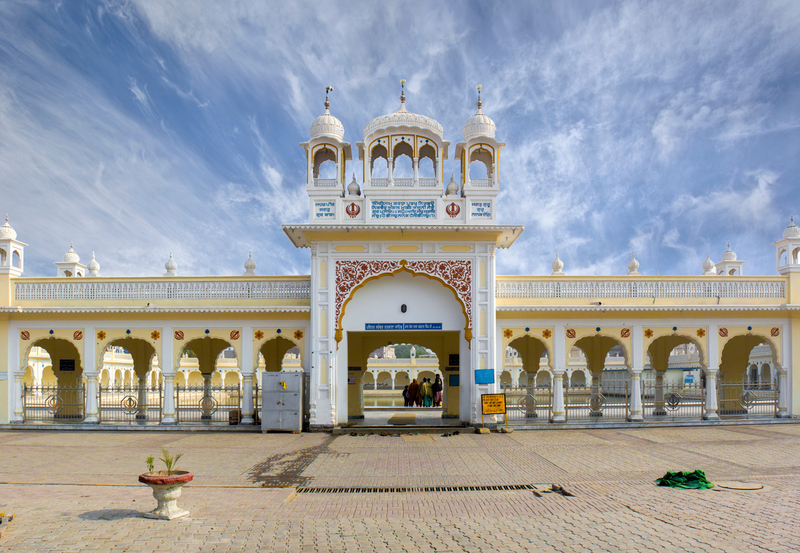 Sikh temples are called “Gurdwaras”, the word Gurdwara means “Gateway to the Guru”. There are thousands of Gurdwaras around the world and I was able to visit six Gurdwaras in the birth city of the Guru Nanak. There is no restriction on who can enter in a Gurdwara, people from all the religions are welcomed as long as they follow the rules. These rules are considered to be followed as a matter of respect for the Guru. Shoes: You must remove your shoes before entering a Gurdwara. It has two advantages, one it keeps the floor clean and second, it allows 72,000 nerve endings in the feet to receive energy. Washing your Feet: You must wash your feet and hands before entering a Gurdwara. 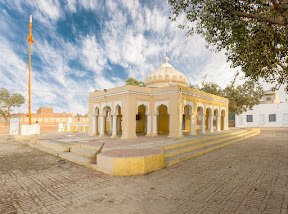 Janam-Asthan has a fountain or small moat just outside the main Prayer Hall. I washed my feet there and then entered the main hall. There are also sinks at the entrance for washing your hands. Cover your Head: Everyone must cover their heads before entering a Gurdwara. 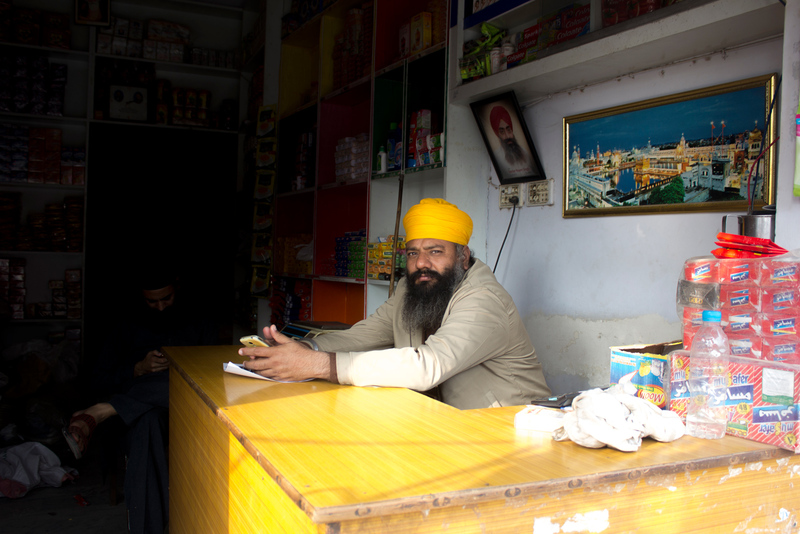 Sikh men customarily wear turbans, while Sikh women typically wear headscarves as part of their traditional dress. If you do not have a head covering, inquire about borrowing one when you arrive at the Gurdwara. 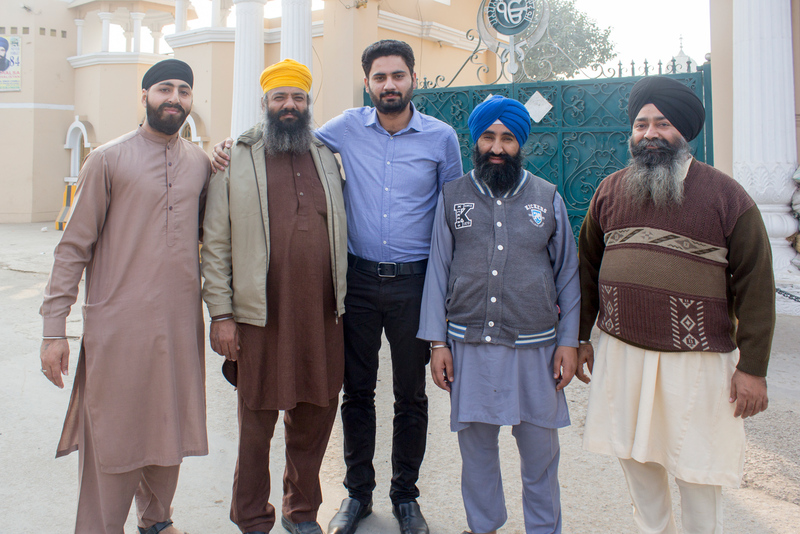 During my visit in Nankana Sahib, there was large bandanna-like cloth available for covering my head. After the takeover of Punjab by British, Hindu Mahants showed possession to the Sikh Gurdwaras and started violating the sanctity of the place. On 20th February 1921 two hundred Sikhs came to the Gurdwara to take control who were brutally killed. Some were burnt alive and some were hanged with this tree. The place where everyone sits together & listen Kirtan. 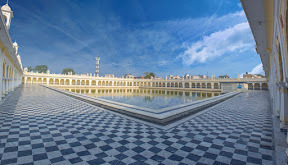 Janam Asthan has a big area which is being served as Sarovar (Pool) where pilgrims take bath. 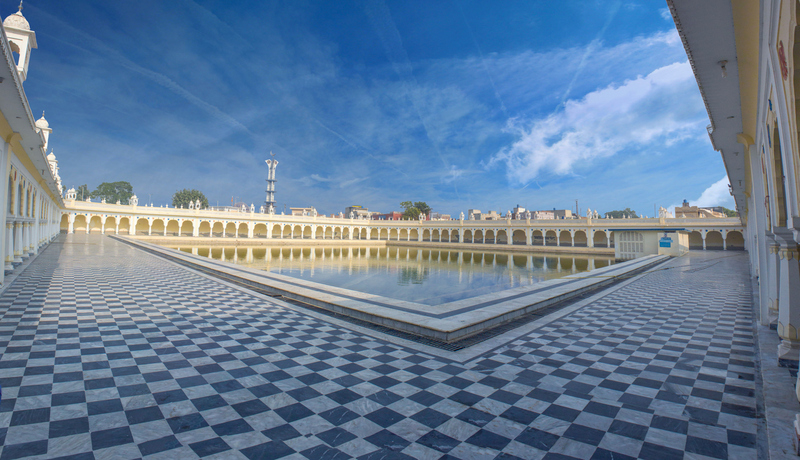 In Sikhism, one can bath in the pool given that they are pure from inside to accomplish anything. The water may clean them from outside but impurity of heart (inside) can not be cleaned by this. 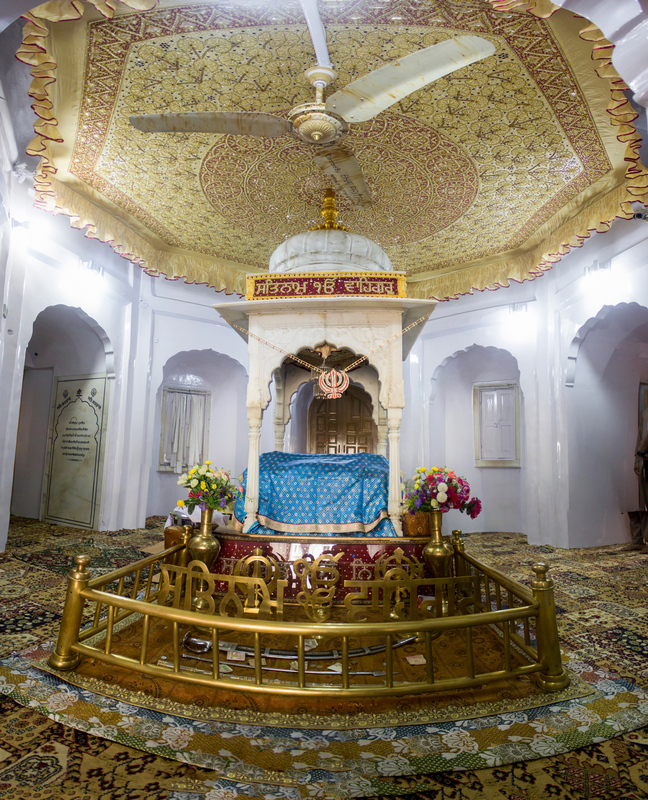 Guru Granth Sahib is assumed to be a living Sikh Guru, and it is provided with all the facilities which a real living Guru would like. For example a Bed, Air Conditioner in the summer, Heater & Blanket in the winters. The place where all these facilities are provided is called Sukh-Asan-Asthan (A place one finds peace). It's not recommended to place the Guru Granth Sahib in the home, if one wants to, then they have to provide it all the facilities. 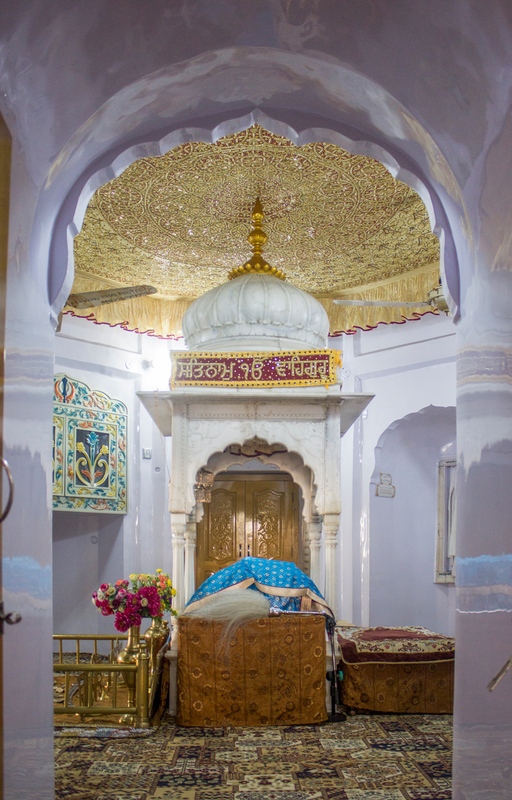 Daily, Guru Granth Sahib is brought from Sukh-Asan-Asthan to Devan Asthan where it is recited. 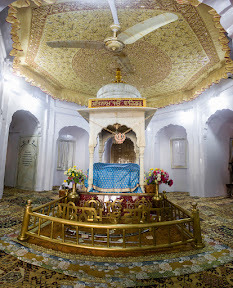 Guru Granth Sahib is placed inside a Palki Sahib (Structure where the Guru Granth is placed) with Chandoa Sahib (Big cloth on the ceiling which covers Palki) on its top. 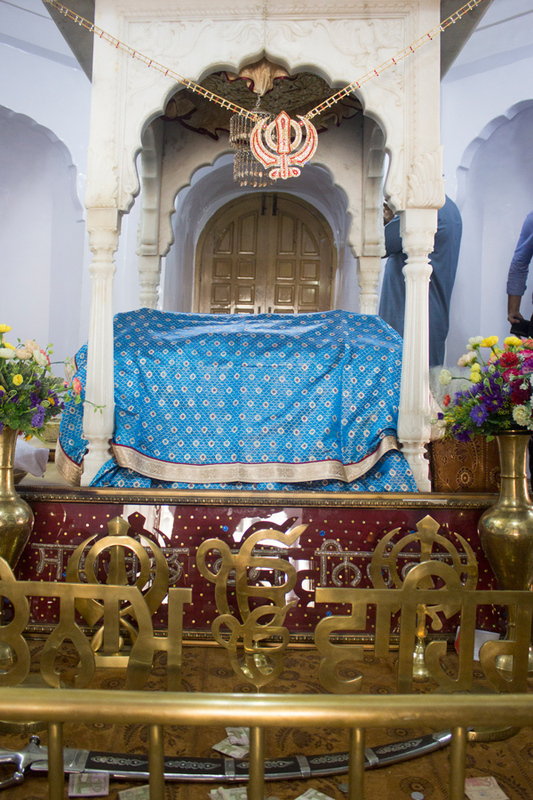 Daily, Guru Granth Sahib is brought back to Sukh-Asan-Asthan for rest after the closing ceremony. 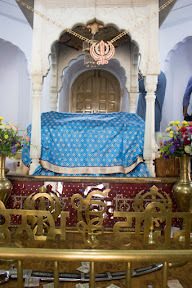 Every Gurdwara must have a Sukh-Asan-Asthan where Guru Granth Sahib can take rest. 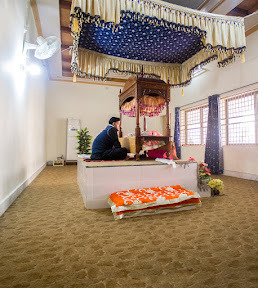 This is to be noted that, wherever Guru Granth Sahib is placed, the combination would remain the same which is Chandoa Sahib, Palki Sahib and Guru Granth Sahib. 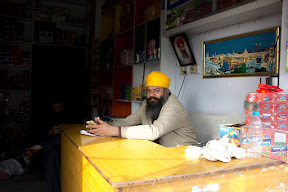 Once Guru Nanak's father, gave him some money and sent him to Choorkana (Present day Farooqabad, Punjab), a market town, to purchase some goods. Guru Nanak spent all the money in feeding people having an austerely simple lifestyle and was satisfied while coming back home. When he was near his home, he realized that his father will not be pleased and he reluctantly decided to hide under a large tree (Jhand). 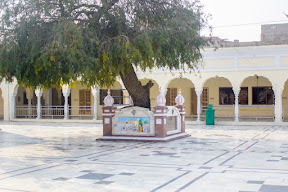 The tree was so big that it's branches were touching the ground making it look like a tent (Tambu in Punjabi). Later he was found by his father and taken home. A Gurdwara was established near the tree, about a furlong east of Janam Asthan during the Sikh Rule in Punjab. 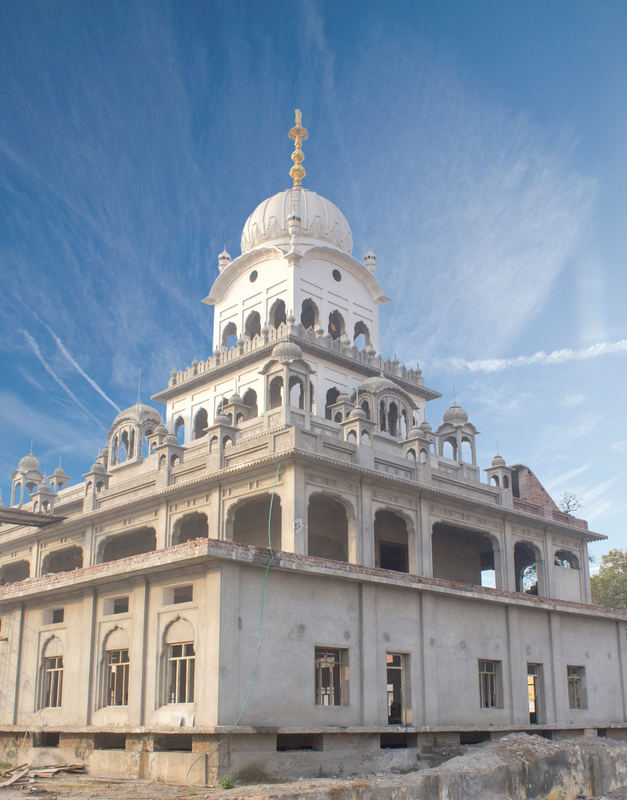 Its present building has been dismissed and a new building of this Gurdwara is expected to built until next year. This Gurdwara is about one and a half kilometers from the Gurdwara Janam Asthan. At this holy place, cattle belonging to Guru Nanak Dev ruined the fields as he was resting under a tree. Guru went deep into his thoughts and the cattle went astray into the fields of a farmer. The farmer got very angry when he saw that and went straight to Rai Bular (Ruler of Talwandi) with the complaint. Rai Bular took the farmer along and arrived at the place to see the damage. On getting back to the fields both were surprised to see that the fields were not damaged at all. 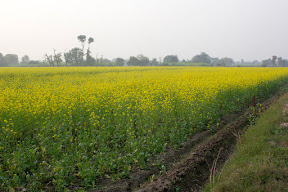 It is believed that the Guru just had a kind look at the fields which turned them green. 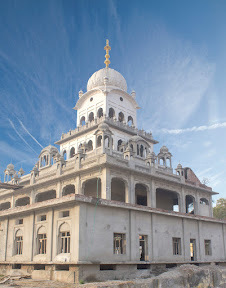 This Gurdwara is famous because of the miracle seen by Rai Bular (Ruler of Talwandi). He saw continuous shadow upon young Guru Nanak Dev as he was taking rest under a shade of a Maal tree. Rai Bular was very surprised to see that the shade was not moving away from Guru Nanak. It is said to believe that a huge cobra had spread its huge hood over his face so that his sleep was not interrupted. This incident convinced Rai Bular of the spiritual eminence of Guru Nanak Dev and later he became his devotee. Located about 300m from the Gurdwara Janam Asthan, this Gurdwara reminds the early age of Guru Nanak Dev when he used to come at this place for playing. He together with other children, spend time at this place and used to convey aesthetic aspects/insights of God's names to those who love him or to his beloveds which enlightened their minds. Currently, This Gurdwara is under construction. 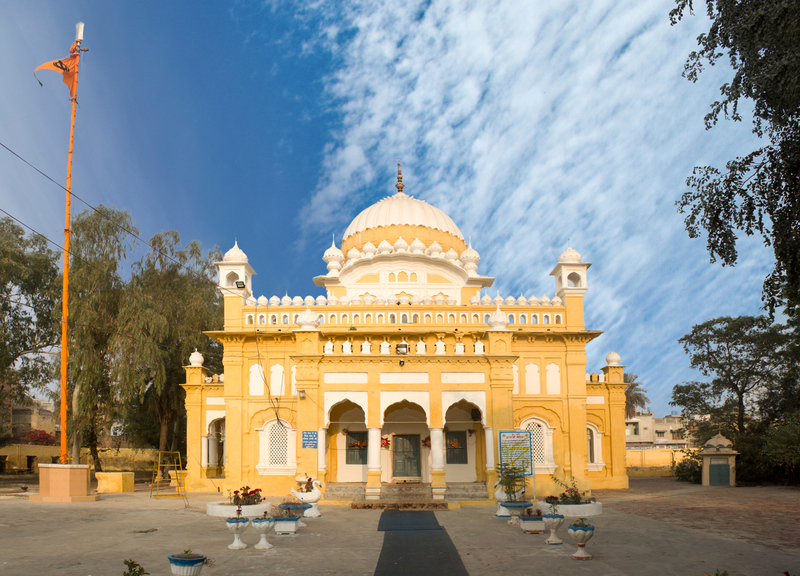 Just near the Gurdwara Bal Lilah, this Gurdwara also holds very religious significance for Sikhs. 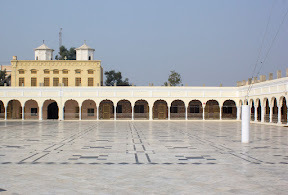 Sometimes it is also referred to as Gurdwara Molvi Patti Sahib. Patti means a wooden tablet on which children used to learn, practice and improve their writing skills. Guru Nanak Dev attended his early education from a school located here and mainly learned Persian and Arabic languages. 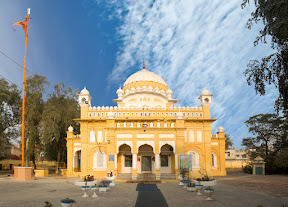 It is also believed that Guru Nanak surprised everyone while reading a poem which is why this Gurdwara is named as Patti Sahib or Molvi Patti Sahib. Listening Kirtan in Janam-Asthan, Nankana Sahib. Nankana Sahib was a very different experience for me, a city encircled with Muslim majority cities and yet everyone is living so peacefully. “There is something, something which is bounding the two religions at a single place”, I thought. After visiting all these places and getting a hint of the mutual coordination of people, I was made to believe that, this city is blessed. Yes, a city blessed by Guru Nanak Dev Ji. It is the respect that both religions have given each other, which is indeed backed by the teachings of Islam and Guru Nanak Dev Ji. 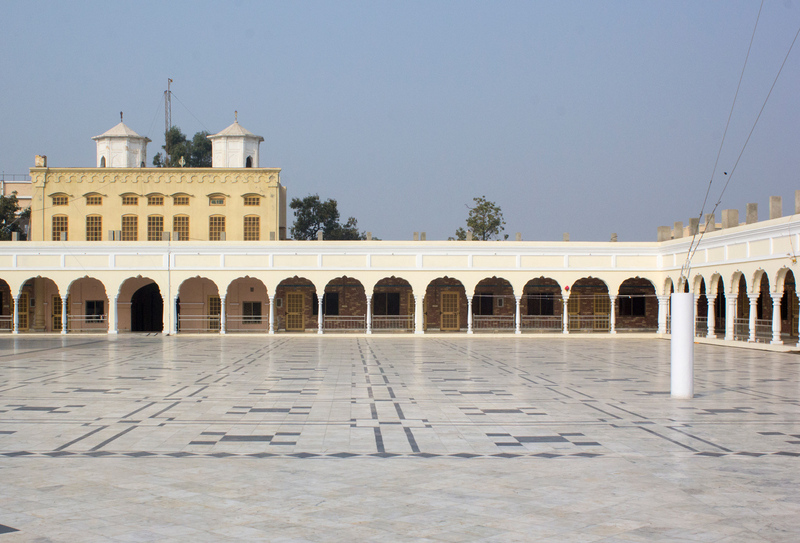 Nankana Sahib for me is a symbolic city where one can actually witness humanity and equality of religions.